Bradford-upon-Avon (Wiltshire) was a village built on the West of England cloth trade. 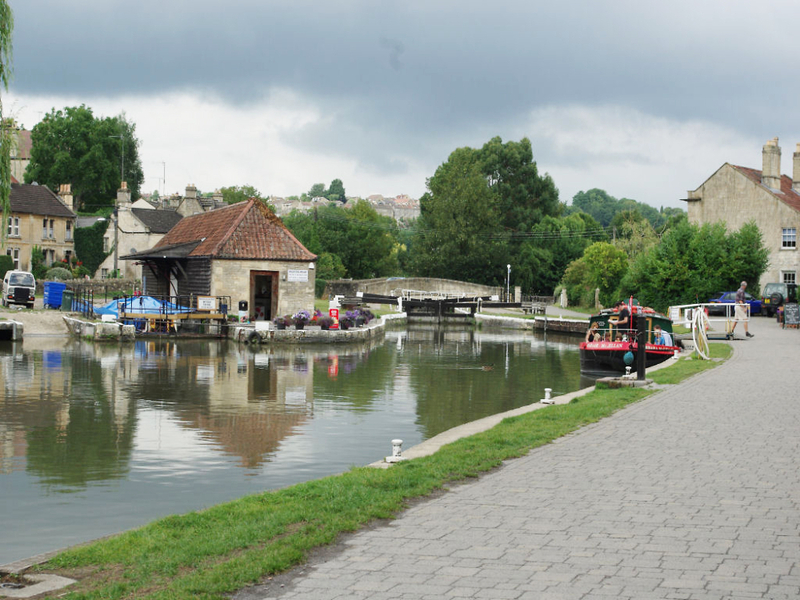 Then came the Kennet and Avon canal, the wharf was built to get the cloth to London, and before long a factory had taken over from the craft weavers. The novelty is the bridge in the background which is built over a lock (one pair of lock gates can just be seen).